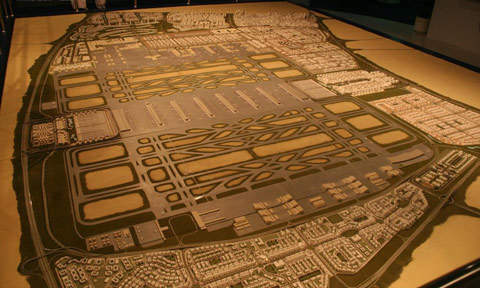 Construction of Al Maktoum International Airport is part of the Dubai World Central Project. 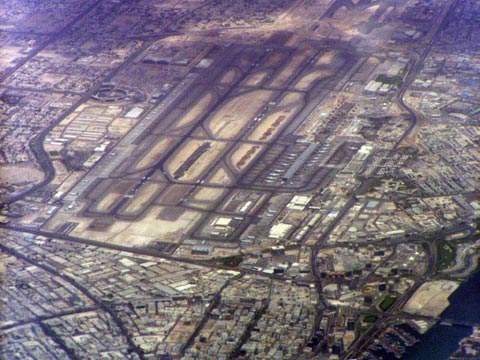 Al Maktoum International Airport started passenger and cargo services in June 2010. Al Maktoum International Airport is located 40km from Dubai International Airport. It has a capacity of over 12 million tonnes of cargo a year and 160 million passengers a year. It is capable of handling all new-generation aircraft such as the A380 superjumbo. The airport construction is part of the Dubai World Central project (DWC). DWC is the Dubai Government’s single largest urban land development project and comprises six clustered zones: Al Maktoum International Airport, Dubai Logistics City (DLC), DWC Commercial City, DWC Residential City, DWC Aviation City and DWC Golf City. The project is estimated to cost $33bn. The new airport and its surrounding infrastructure will be completed in phases. The first phase included one runway along with Dubai Logistics City, a multi-modal logistics hub for air, sea and road services. DWC started its first phase of operation when DWC-Al Maktoum International Airport opened for cargo operations in June 2010. General aviation operations were launched in April 2011. Passenger operations will begin e in 2012 and the airport is scheduled for completion in 2020. Dubai Aviation City Corporation integrates DWC and the Dubai Airports Company. The airport will consist of a number of terminals, five runways, a large area for cargo and two main entrances. The new airport is equipped with various concourses and a 91m-high air traffic control (ATC) tower which is an aviation landmark and the tallest freestanding ATC tower in the Middle East. The ATC tower is equipped with the latest avionics and navigational aids. "The airport has a capacity of over 12 million tonnes of cargo and 160 million passengers a year." Al Maktoum Airport will encourage hotels and shopping malls, support facilities and state-of-the-art maintenance facilities. This will result in a regional maintenance hub capable of conducting necessary checks on all aircraft, including the A380. The airport will be linked to Dubai International Airport though an express rail system. For airport parking and car rental services, around 100,000 car parking spaces will be available. Al Maktoum International Airport will be served by five parallel runways, each separated by a minimum distance of 800m. The runways will be 4.5km long. The first runway at Jebel Ali in Dubai was completed on schedule within 600 days, and registered an aviation record for the fastest A380-enabled 4.5m CAT II runway construction. The AED1bn runway is the first tender to be fully executed within DWC. Once completed in mid 2020, the airport will have four passenger terminals. 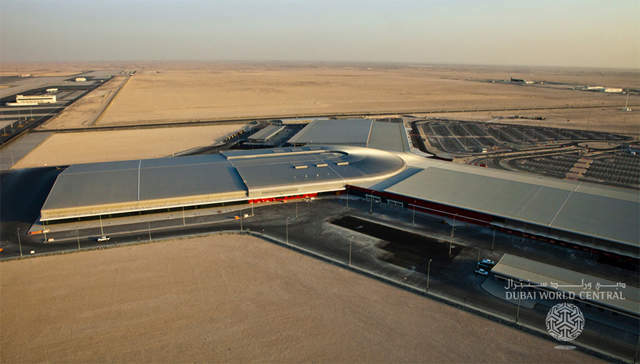 The $27m first passenger terminal catering to low-cost, regional and charter airlines was built by Arabtec/Max Bogl, a UAE-German joint venture. The terminal, which opened in 2012, has an initial capacity of five million passengers a year. When required, the capacity may be increased to seven million. The construction of the first of the 16 cargo terminals has been completed, in line with the plan of all 16 terminals having a total annual capacity of 12 million tonnes. The cargo terminal has a capacity of 200,000t and is spread over 41,000m² of the built-up area. The terminal’s capacity can be extended to 600,000t. Construction of Al Maktoum International Airport’s ATC tower proved to be another milestone achieved in the process of airport infrastructure development. "Al Maktoum International Airport will be linked to Dubai International Airport via an express rail system." 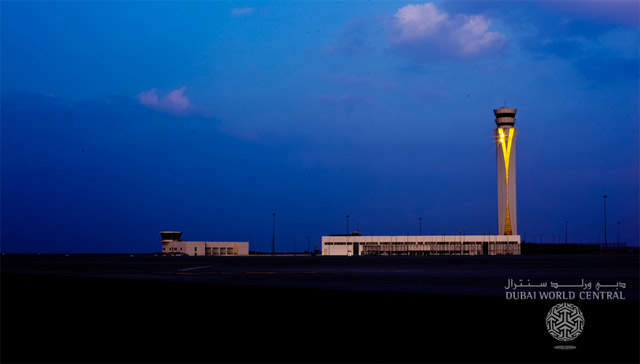 The contract for the construction of the ATC tower along with a technical block of 6,000m² was given to Arabtec / Max Boegl JV in February 2007. The project was delayed for a year and was constructed in May 2009. The first 60m of the tower is built from reinforced concrete, and remaining upper part is made of steel. The tower is clad with aluminium and glazed. The completion of the construction of the ATC tower at Dubai World Central is a big step forward for the region’s aviation sector, which has seen consistent growth every year. The airport’s other structures under construction are: a $75.6m cargo terminal, $247.2m of aprons and associated taxiways, $29.4m fuel farms and an $32.6m navigational aids package.